If you’re a parent to a child with a food allergy, there’s more to the task of sorting through the night’s Halloween candy haul. In addition to making sure that no suspicious looking candy found its way into your child’s bucket, you may also have to weed out candy that could trigger an allergic reaction. Halloween can be a stressful holiday for parents of kids with food allergies. Many popular treats contain ingredients that aren’t safe for children with peanut allergies or other food sensitivities. Up to 8% of children have life-threatening food allergies, according to Nationwide Children’s Hospital. 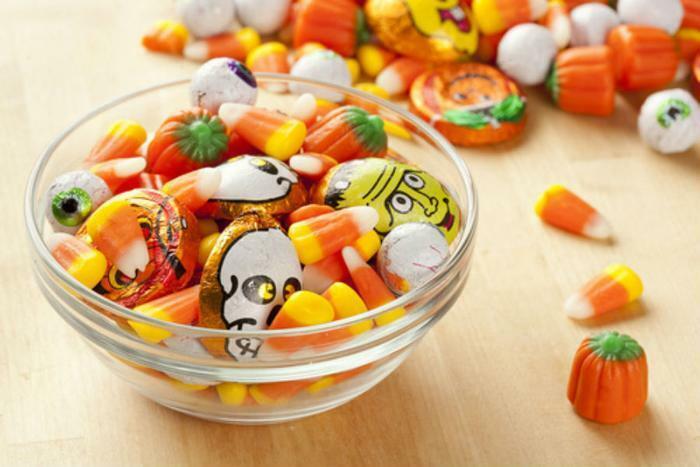 For this reason, adults who plan to pass out candy should consider asking parents and children if food allergies may render certain candies unsafe to eat. Additionally, adults should be aware of the fact that many treats contain surprising ingredients. To keep kids with food allergies safe, it’s important for adults on both sides of the trick or treating equation to know about hidden allergens. You might be surprised by some of the ingredients in common candies, says Dr. Sarah Denny, a pediatrician in the emergency department at Nationwide Children’s Hospital. Here are some of the allergens lurking behind the wrappers of a few of Halloween’s most popular treats. Because so many sweets contain allergens, or were processed in a plant with food allergens, adults may want to consider passing out non-edible or allergen-free treats. Not sure what non-edible alternatives to pass out? The possibilities are endless, and very often inexpensive. A few ideas include: packs of mini play dough, temporary tattoos or stickers, or mini activity books. For allergy-free edible treats, consider passing out Nerds, Smarties, Starburst, Surf Sweets gummies, or other allergy-safe candies.